So there I was, standing in front of my open freezer trying to think about how I could free up some space (freezer space is a very high commodity in my apartment), when I saw a bag of blanched almonds. My mind started racing – Immediately the Union Square Cafe bar nuts came to mind, which I make quite often, and I started to ponder what other flavor combinations I could throw together using the same technique. I walked over to my spices and started pulling from the shelves. 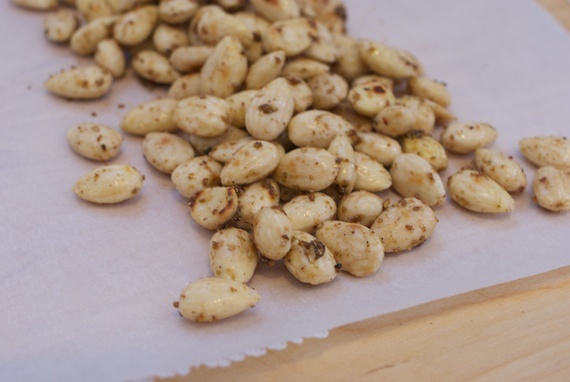 I grabbed cumin seed, fennel seed, and coriander seed, and then the idea hit me: garam masala roasted nuts! Garam masala is a Indian spice blend which is an essential flavoring in many North Indian dishes. Garam means “hot”, yet traditionally there is no chili in the blend, the heat instead coming from warming spices like cumin, cinnamon and clove. “Masala” just means blend, and technically, even a blend of 2 spices can be characterized as a “masala”. With these kind of spice blends, everyone claims the authentic recipe, yet in reality there are endless variations of spice combinations. 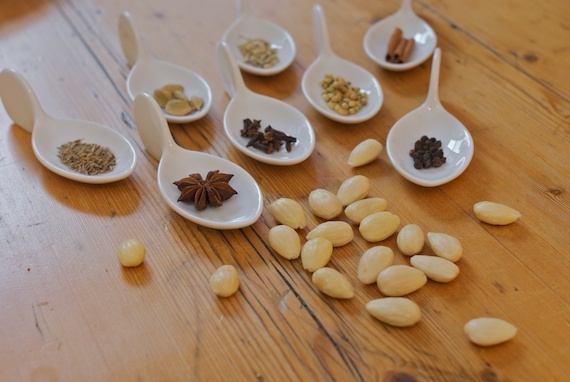 When I looked down at what I had pulled off the shelf I saw coriander, cinnamon, clove, cumin, fennel, cardamom, star anise and black pepper, a realized that most of them are used in Chinese herbal formulas to treat a variety digestive issues. In Chinese medicine, the digestive process requires an activating, warming force since it’s the combustion engine of the whole body – turning the food that we eat into essential substances like Energy and Blood. 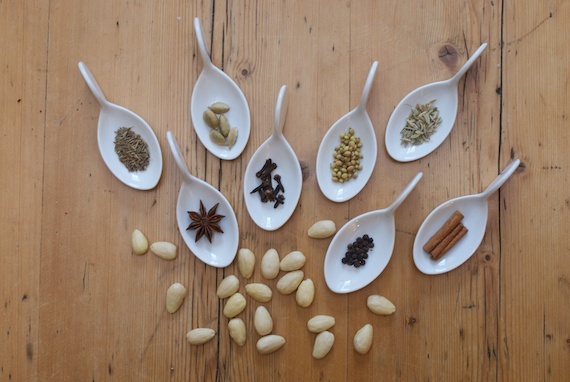 When our digestion slows down, or we feel sluggish, weak or cold, all it may take to get us back on track is a little activating, fragrant nudge, accomplished in traditional Chinese herbal formulas with herbs like cardamom, fennel, cinnamon and star anise. The remaining ingredients, brown sugar, salt and the almonds themselves, have their own medicinal properties. The sweetness of brown sugar strengthens the function of the digestion, and salt and almonds promote bowel function. Annnddd, recent research suggests that using spices like these cut fat levels in your blood after a heavy meal…All in all, pretty impressive for “bar nuts”, huh?! 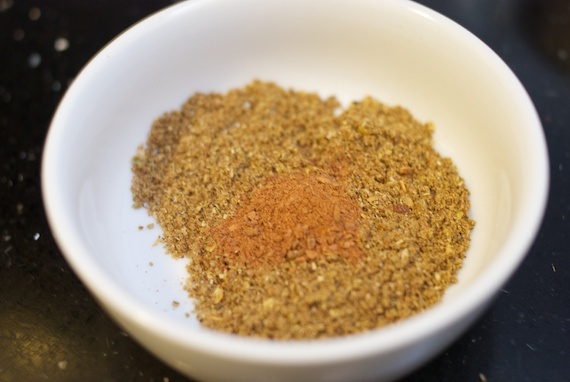 Grind spices: Transfer toasted spices to a clean, dry coffee/spice grinder – grind until fine powder. Transfer to a small bowl, and add cinnamon. Mix. 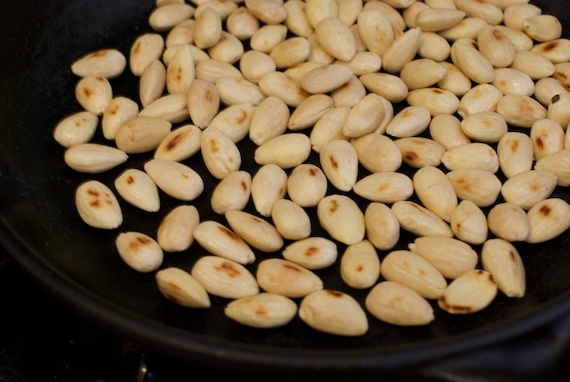 Roasted almonds: Wipe out skillet, and add almonds. Toast while tossing constantly, until browned slightly. Remove to a plate. 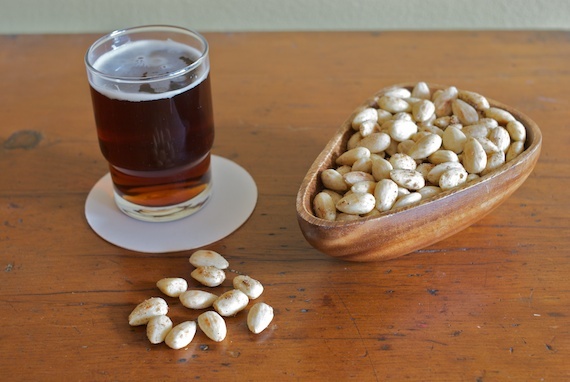 Toss nuts: Mix butter or olive oil, brown sugar and 1/2 teaspoon of garam masala until a paste is formed. Add roasted almonds and toss until well coated. Once coated evenly, add 1/4 teaspoon more garam masala and 1 hefty pinch of salt; toss again. Turn nuts out onto parchment to cool completely. Eat immediately, keep at room temperature in a mason jar for up to a week, or store in freezer (bringing to room temperature or warming before enjoying). Note: Feel free to modify the amounts or omit a particular spice if you have an aversion to it or it’s out of stock in your pantry. It’s very rare that we have almonds, pure nuts on our table. We only tried it when it comes on a chocolate bar. Hope they have this kind of nut in the market, and wonder how much it cost. Thanks for sharing the recipe. I love u guys and love your blog! Keep on cooking! Great idea. Can’t wait to serve up these creative snacks at my next party. I LOVE the pictures in this post. Kol Hakavod!